As Digital Humanities continues to grow and develop as a discipline, both in terms of its interdisciplinary work and the development of research questions specific to itself, there has emerged a number of controversies about its supposed nature. These critical voices have been articulated from a number of disciplinary traditions, but tend to be mostly from the humanities. This talk will look at the developing field of digital humanities, and examine these sites of controversy in terms of the the changing nature of humanities research, partly due to the undoubted expansion of digital resources and digital scholarship more generally, but also in terms of the history and development of the field of digital humanities understood as somehow contrary to the humanistic pursuits of the university. This talk will look at a number of ways in which digital humanities does indeed suggest new ways of working for the humanities, but also how these can augment existing approaches, rather than necessarily being in opposition to them, but also why they raise such anxieties around the future of the humanities and the university in a digital age. 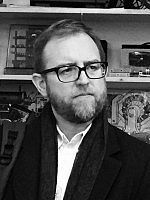 David M. Berry is Professor of Digital Humanities in the School of Media, Film and Music at the University of Sussex. He writes widely on computation and the digital and is the author of Critical Theory and the Digital, The Philosophy of Software: Code and Mediation in the Digital Age, Copy, Rip, Burn: The Politics of Copyleft and Open Source, the editor of Understanding Digital Humanities and co-editor of Postdigital Aesthetics: Art, Computation and Design (with Michael Dieter). His forthcoming book in 2016 is Digital Humanities (with Anders Fagerjord). Notes and slides for this talk are now available. Booking: This event is now fully booked. If you do not have a ticket but would still like to attend, please contact emma.stanford@bodleian.ox.ac.uk. Learn about new digital tools for humanities research and build your own virtual workspace for viewing books and manuscripts from libraries around the world in this short talk and workshop presented by BDLSS and the Centre for Digital Scholarship. Since 2012, the International Image Interoperability Framework (IIIF) has been enabling scholars to view, annotate and remix digitized images. The Bodleian has been in the vanguard of these developments, first with Digital.Bodleian, our IIIF-compatible digitized special collections website, and now with the Digital Manuscripts Toolkit, which will open up IIIF technology to humanities researchers with a set of easy-to-use tools. In this workshop, you will learn about the basic principles of IIIF, see the technology in action at the Bodleian and other institutions, and find out how to use free tools such as Mirador and the Universal Viewer in your own research. You will also have the opportunity to get involved in the development and testing of the Digital Manuscripts Toolkit. Refreshments will be provided. Please bring your own laptops for the hands-on portion of this event. Access: If you have a University or Bodleian Reader’s card, you can get to the Centre for Digital Scholarship through the Mackerras Reading Room on the first floor of the Weston Library, around the gallery. If you do not have access to the Weston Library you are more than welcome to attend the talk: please contact Emma Stanford before the event (emma.stanford@bodleian.ox.ac.uk). Our colleagues at SEAHA (the EPSRC Centre for Doctoral Training: Science and Engineering in Arts, Heritage and Archaeology) invite you to participate in a day-long SEAHA Special Seminar in Multispectral and Hyperspectral Imaging. Audience: Imaging Scientists and heritage professionals who wish to know more about emerging techniques in the field of multispectral and hyperspectral imaging. Multispectral/hyperspectral imaging is the process in which image data is captured at specific frequencies across the ultra violet (VIS) and near-infrared (NIR) spectroscopy. The imaging captures all the spatial and spectral data that can be seen within the field of view of the imaging device. This new set of virtual eyes gives users a more complete view of any type of reflecting material than the human eye alone. It can be used to reveal information about both the identity of objects (e.g. pigments, lichen, binder) and hidden text or pictorial information in built heritage as well as objects in a museum, a library, or a university. It also provides information about the chemical composition and concentration, effectively chemical imaging. The EPSRC Centre for Doctoral Training in Science and Engineering in Arts, Heritage and Archaeology (SEAHA) are proud to sponsor this one day symposium that brings together some of the world’s most experienced practitioners in the emerging technique of multispectral and hyperspectral imaging, alongside the cutting edge research that is being carried out by their students and partners. This impressive line-up of world class speakers will be sharing their experience and recent findings and showcasing the power of these techniques with dramatic discoveries and deep technical knowledge. This is an event not to be missed if you are an Imaging Scientist and Heritage professional keen to learn and share more about this exciting area of research. The event will include talks from a wide range of specialists in this field providing delegates the opportunity to ask any questions they may have and to learn how these techniques are being used to discover images that have never been seen before. Book your place: http://www.oxforduniversitystores.co.uk/browse/extra_info.asp?compid=1&modid=1&deptid=16 0&catid=2641&prodid=12085. This will take you to the University of Oxford Online Store where tickets can be purchased at a cost of £70.00 per person which includes a full day of world class speakers along with many opportunities to ask questions and network with like-minded professionals. Refreshments will be provided though-out the day including a sit down lunch and wine reception. Delegates are warmly invited to submit a poster and those wishing to do so should contact David Howell via david.howell@bodleian.ox.ac.uk. Joining instructions will be sent out 2 weeks before the event confirming timings and further information regarding directions and transport options. If you have any questions before then please get in touch via staff-dev@bodleian.ox.ac.uk. Getting there by car and bicycle: Wolfson College is located at the end of Linton Road, which is off of the Banbury Road in North Oxford. The college can be accessed by car but parking is limited to designated areas and is only available for a maximum of 3 hours. Parking restrictions exist in the roads adjacent to the college. Driving instructions and public transport options can be found at google.co.uk/maps. Public Transport: The 500 Park and Ride bus service operates between the Water Eaton (Oxford Parkway) site (north of the ring road near Kidlington) and the City Centre. There is a stopping point on the northbound and southbound routes, on Banbury Road opposite the end of Linton Road (ask for the ‘St Margaret’s road stop’). It is approximately a five-minute walk from this junction to the College. You can download a flyer for this event. Drawing upon sociology of culture and digital rhetoric literature, this talk will illuminate the persuasive function of hashtags in the context of the UK EU membership referendum. What makes a hashtag more influential, or more successful? The hashtag is not just a category or community marker—it has also become a vehicle through which rhetorical strategies are being used to influence thoughts and feelings. Many scholars have explored hashtag success by examining popularity and longevity. This talk presents an expanded definition of success that takes hashtag hijacking into account. The data that will be presented are being gathered live from the Twitter Streaming API; over two hundred hashtags and usernames relating to the EU referendum are being tracked. The talk will also highlight the challenges and opportunities afforded by big ‘linguistic’ data on social media. 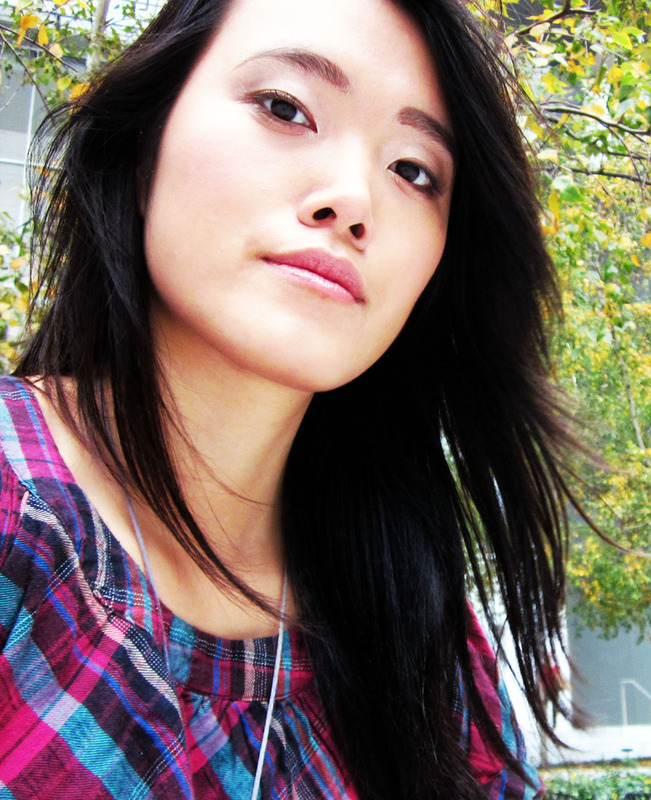 Yin Yin Lu is a DPhil Candidate at the Oxford Internet Institute (OII) and Balliol College, as well as a Clarendon Scholar. She is fascinated by the intersection between language and technology, and her research focuses on the hashtag, one of the most notable sociotechnical phenomena of the 21st century. Prior to joining the OII, Yin obtained a Masters in English Language from the University of Oxford (Lincoln College) and a Bachelor of Arts from Columbia University. Between these degrees, she worked at Pearson Education and 10 Speed Labs, a digital media agency in Manhattan. She is the founder and co-convenor of the #SocialHumanities network at TORCH, and her ultimate objective is to reinvent the novel—along with the very acts of reading and writing—through new media technologies. The Centre for Digital Scholarship is delighted to welcome Distinguished Professor and Presidential Chair in Information Studies at the University of California, Los Angeles, Christine L. Borgman to present a talk drawn from her recent book, Big Data, Little Data, No Data: Scholarship in the Networked World (MIT, 2015). Data, long understood as essential evidence for scholarship, are now viewed as products to be shared, reused, and curated. Libraries, long understood to be responsible for curating the products of scholarship, are now assessing their roles in acquiring, managing, and sustaining access to research data. While libraries have adapted to the evolution of document technologies for centuries – from papyri to eReaders – accepting long-term obligations for research data may reposition the role of the library in the university. Publications, the traditional remit of libraries, play established roles in scholarship. Data are much different entities than publications. Rarely do they stand alone, separable from software, protocols, lab and field conditions, and other context. Data practices are local, varying from field to field, individual to individual, and country to country. They are a lens to observe the rapidly changing landscape of scholarly work in the sciences, social sciences, and the humanities. Inside the black box of data is a plethora of research, technology, and policy issues. Concerns for data sharing and open access raise questions about what data to keep, what to share, when, how, and with whom. The stakes and stakeholders in research data are many and varied, posing new challenges for scholars, librarians, policy makers, publishers, students, and their partners. This talk is drawn from Big Data, Little Data, No Data: Scholarship in the Networked World (MIT Press, 2015), much of which was written at the University of Oxford when the author was an Oliver Smithies Fellow at Balliol College in 2012-2013. Christine L. Borgman, Distinguished Professor and Presidential Chair in Information Studies at UCLA, is the author of more than 250 publications in information studies, computer science, and communication. These include three books from MIT Press: Big Data, Little Data, No Data: Scholarship in the Networked World (2015), winner of the 2015 American Publishers Award for Professional and Scholarly Excellence (PROSE Award) in Computing and Information Sciences; Scholarship in the Digital Age: Information, Infrastructure, and the Internet (2007); and From Gutenberg to the Global Information Infrastructure: Access to Information in a Networked World (2000). The latter two books won the Best Information Science Book of the Year award from the Association for Information Science and Technology (ASIST). She is a Fellow of the American Association for the Advancement of Science and of the Association for Computing Machinery; a member of the Board of Directors of the Electronic Privacy Information Center; U.S. Co-Chair of the CODATA-ICSTI Task Group on Data Citation and Attribution; and previously served on the U.S. National Academies’ Board on Research Data and Information and the U.S. National CODATA. 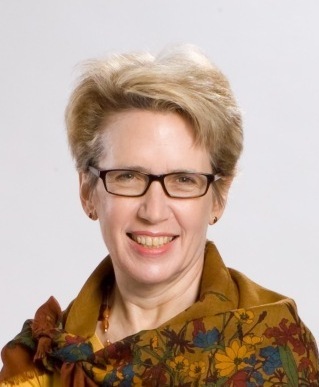 She received the Paul Evan Peters Award from the Coalition for Networked Information, Association for Research Libraries, and EDUCAUSE, and the Research in Information Science Award from ASIST. In 2004-2005 she was a Visiting Scholar at the Oxford Internet Institute; in 2012-2013, she was an Oliver Smithies Fellow at Balliol College and a Visiting Scholar at both the Oxford Internet Institute and the Oxford eResearch Centre, University of Oxford. Prof. Borgman directs the Center for Knowledge Infrastructures at UCLA with funding from the Alfred P. Sloan Foundation and the National Science Foundation. Unmanned aerial vehicles (UAVs, or “drones”) have been in consumer hands and newspaper headlines for several years now. While their much-touted potential to dramatically change modern existence is slowly beginning to emerge, it sometimes seems like their most notable success thus far has been in crashing into everything in sight. This talk will take a brief look at the devices currently available for the everyday consumer and what to expect in the near future. It will then explore some exciting legitimate uses as well as the manifold creative misuses people have devised. Finally it will discuss the potential countermeasures that have been proposed to detect UAVs, disable or commandeer them, and trace misuse back to operators. 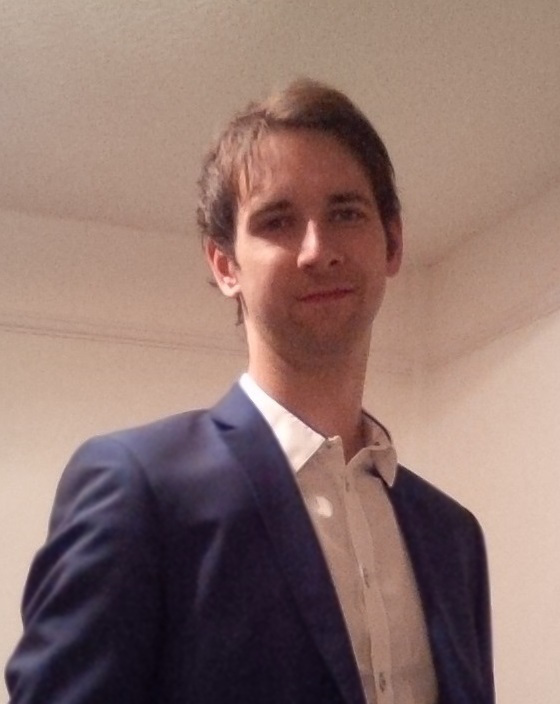 Richard Baker is a member of the Centre for Doctoral Training in Cybersecurity, within the Software and Systems Security group. His DPhil work focuses on the opportunities that UAVs provide as an inexpensive mobile platform, as well as technologies to help protect privacy despite their widespread use. Prior to studying in Oxford he was a software developer for a number of years, in the UK and Switzerland. He holds an MEng degree in Computer Science from Imperial College London.